Welcome back to my blog everyone! 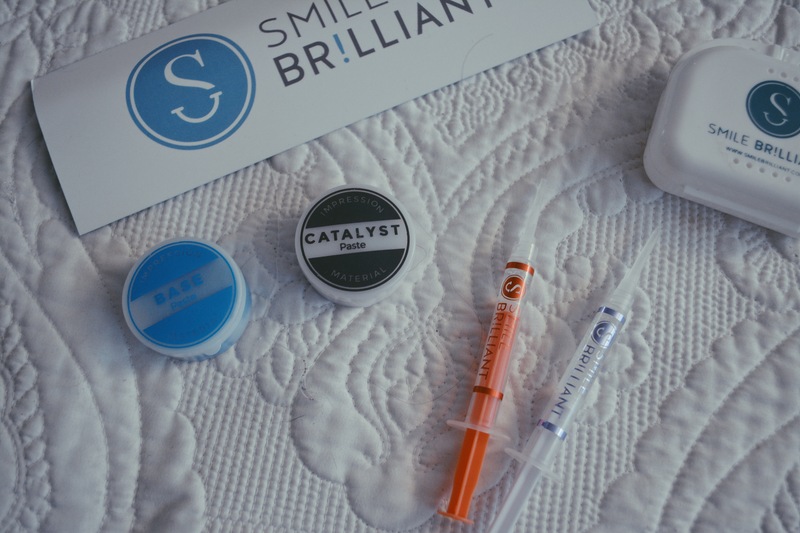 I’m really happy to be partnering up with Smile Brilliant for this post. 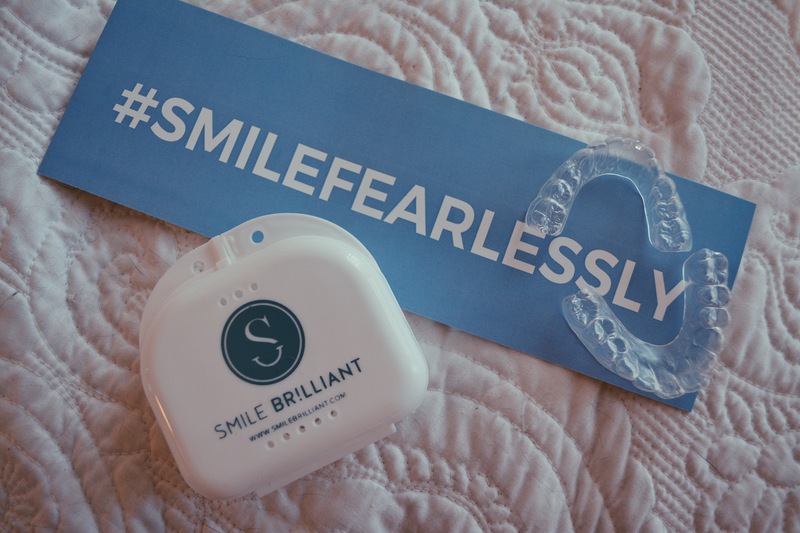 Smile Brilliant is an at home teeth whitening system that is custom made to fit your teeth. It is 70% cheaper than doing it at the dentist and a whole lot faster! I have to be honest…although I was familiar with the company, when they approached me I was a little hesitant. The reason why is because I don’t have the perfect smile, so the thought of posting close up pictures of my imperfect teeth was not something I was comfortable with. 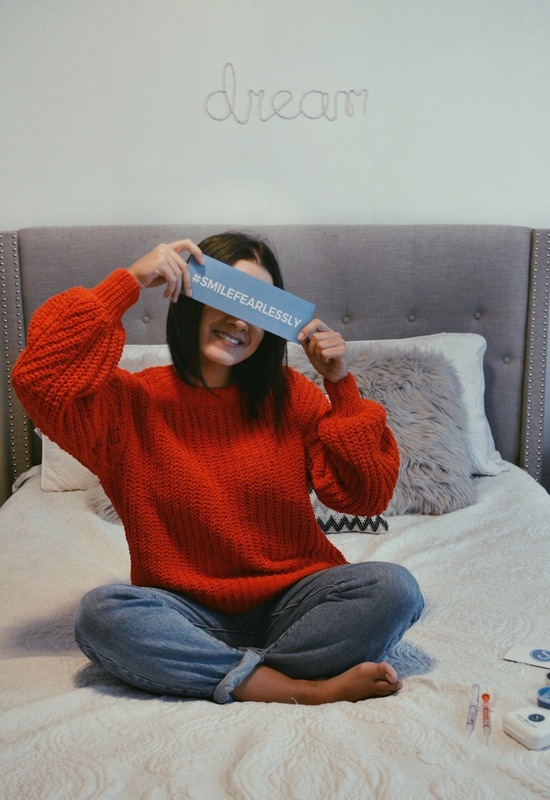 After researching more about the company, and seeing all the real and different smiles they feature on their site, I instantly felt more comfortable and more trusting of the product. I loved that that they didn’t just advertise the perfect commercial smile, but focused on real people with different lifestyles but ultimately, all interested in the same end result…a brighter smile. So, I was happy to not only accept, but smile fearlessly. I received my kit within a few days. I researched by watching a few YouTube videos before starting to make sure I knew exactly how to make my dental impressions. I actually ended up overthinking the process, (as I do with everything) because it ended up being much simpler than I thought it would be. The directions given were very easy to follow, and the hardest part was probably fitting the bottom tray in my small mouth lol. After you mold the impressions by mixing the base paste with the catalyst paste, you let it dry for about half hour before putting it in the envelope they send with the kit for you to mail back. I got them back about a week later. Although I knew the point of the impressions was to mold my exact teeth shape, I was still blown away by how precise it was. The fit was perfect, making it very easy to leave on while I multi-task. The kit came with whitening gel and desensitizing gel for you to apply after whitening to avoid any sensitivity, and each gel gives for about 4 uses. You can whiten anywhere from 1 to 3 hours. I left it on for about an hour most days and didn’t experience any sensitivity, so I didn’t bother with the desensitizing gel. As a coffee and wine lover, my teeth were a bit discolored…so I was happy to see improvements after just the second use. Now there is no turning back. I will be a customer for life, and continue to refer my friends and family to such a wonderful and easy whitening system. These are my results after 12 uses spaced out from July to October, and I’m extremely happy with the results! You can definitely get these results faster if you do it more consistently than I did. I’m excited to see how much whiter they will continue to get. 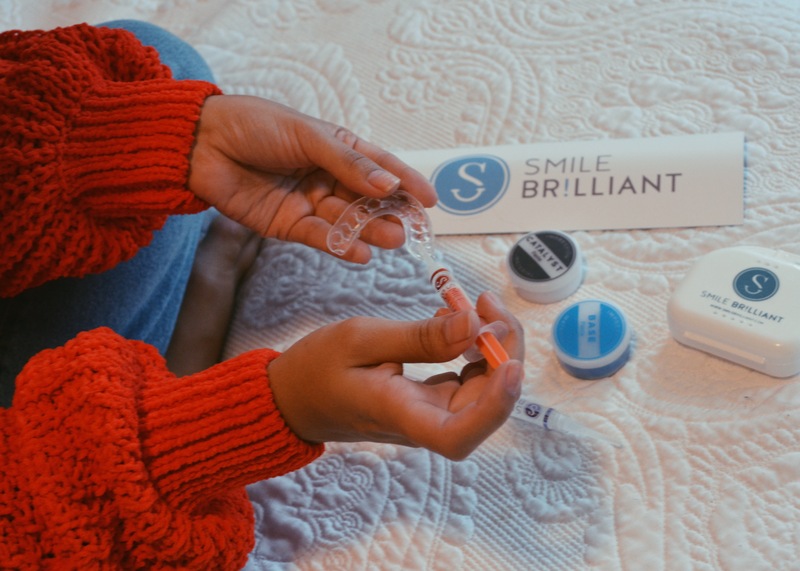 Smile Brilliant is offering one of my followers a chance to win their own kit valued at $139 and is open to USA, UK, Canada, and Australia residents. The kit will include the custom fitted teeth whitening trays, two base pastes, two catalysts pastes, 3 whitening gels, and 3 desensitizing gels. Even if you don’t win, they are offering a 15% off code to my followers using code FASHIONESSABLOG15. To think I almost didn’t take this opportunity because I don’t consider my smile to be “perfect” is actually quite silly, and I think most of us are this hard on ourselves. We all have imperfections, and we shouldn’t let that hold us back from doing something we want. I’m glad I decided to push myself out of my comfort zone and collaborate with Smile Brilliant. I love my brighter imperfect smile, and you’ll love yours too! Good luck to everyone who enters! This post was sponsored but all opinions are my own.